Your smartphone or tablet will be your favorite accessory! Take beautiful photos with the COOLPIX P600 and watch them instantly appear on your compatible smartphone or tablet±. Then share them without missing a beat—text them, email them, upload to your favorite social networking site—it’s your choice! You can even use your smartphone or tablet as a remote control for the COOLPIX P600, perfect for self portraits and group shots that actually include you. 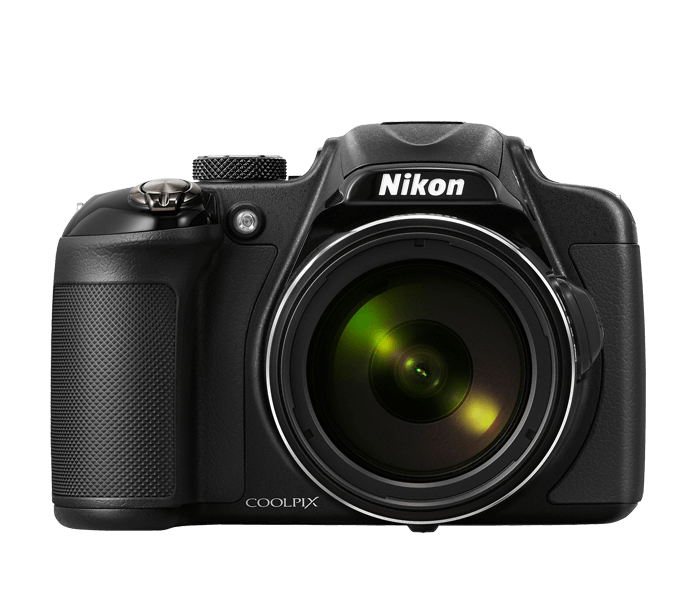 Shooting conditions vary, so the COOLPIX P600 has two viewing systems: a large 3-inch Vari-angle display that swings and swivels to provide easy viewing from almost any position, plus an electronic Eye-Level viewfinder for D-SLR-style shooting. Find exciting new perspectives by swiveling out the Vari-angle display and moving the camera around—raise it overhead or move it to ground-level for suprirsing new views. When conditions require, use the bright, Electronic Eye-Level viewfinder and frame exactly the shot you want. The COOLPIX P600 takes exceptional images on its own, but when you want to take control of exposure, you can. Select from Program, Shutter Priority, Aperture Priority or Manual mode and create without limitations.